Hello! I'm sorry that I am a few days late with my Sparkle Creations Rubber Stamps Challenge card this week. Our family had to go to MN over the weekend, and we got caught in a snow storm, so we were delayed coming home for a couple of days. I had this card all layed out before I left, figuring that I would have plenty of time to finish it on Monday. For all the details, please visit the SCRS blog. 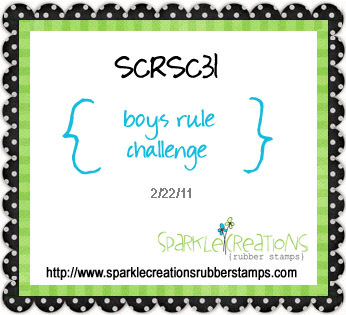 This week's challenge is boy's rule! 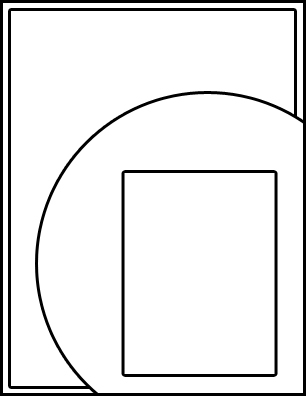 We're also sponsoring Card Positioning Systems this week, so we have combined sketch #206 with our challenge this week. Play along for a chance to win Charlotte with a Rose and Cocktail Emily! 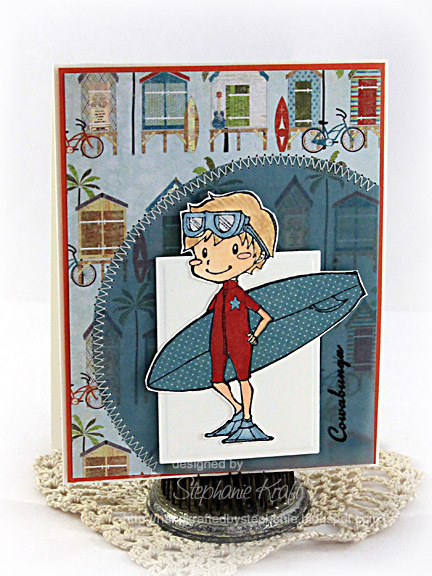 Here's my card with Surfing Oliver.. Sentiment is from Verve's Dude (it reads "Cowabunga"). Not much chit chat from me today as I am still physically and emotionally exhausted.. I just want to get back into a semi-routine this week and hopefully be back to crafting and visiting blogs over the weekend. Accessories: Markers (Copic), Foam tape, Thread, Sewing machine. Adorable card! Thanks for sharing! :) Blessings! Hope you get some time to rest and recover! Hugs! So cute Stephanie! That stamp looks PERFECT paired with that awesome DP! OKAY.. That paper is perfect for the image and the image is too adorable! Great use of vellum in the corner too! Perfect Stephanie card! This is just darling! I love this paper pack! What perfect card for a boy Stephanie!!! Love the colored vellum over the patterned paper - how cool!